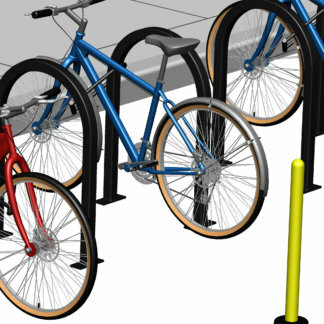 CycleSafe U/2™ bicycle racks provide leading-edge coating technology and offer the best solution for short term bicycle parking to accommodate two bikes per rack. 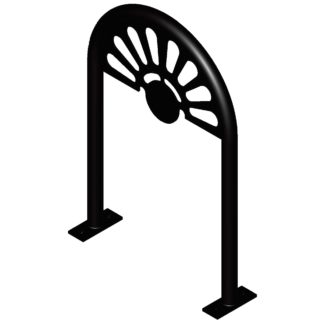 The one-bend 2” diameter round steel pipe rack is coated with a 1/8” thick, black plastisol rubberized coating. 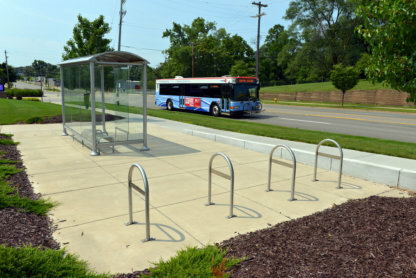 This classic inverted U rack is widely regarded as the standard for space efficiency and bicycle protection to maintain stability and improve pedestrian access. 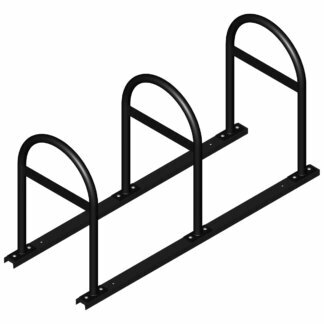 CycleSafe recommends U/2 bike racks with a crossbar for added security. 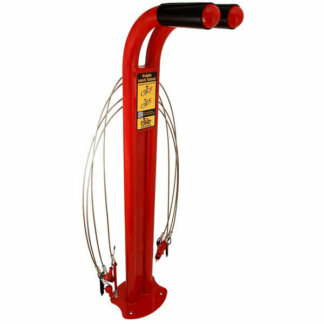 The crossbar deters a theft by not allowing a lock to be slipped to the ground and removed with bolt cutters leveraged against the ground. Traffic Black is standard. Others include upcharge. © 2019 CycleSafe, Inc. All rights reserved.